Home > How can you measure the value of a webpage? > How is MozRank different from Majestic Citation Flow? How is MozRank different from Majestic Citation Flow? 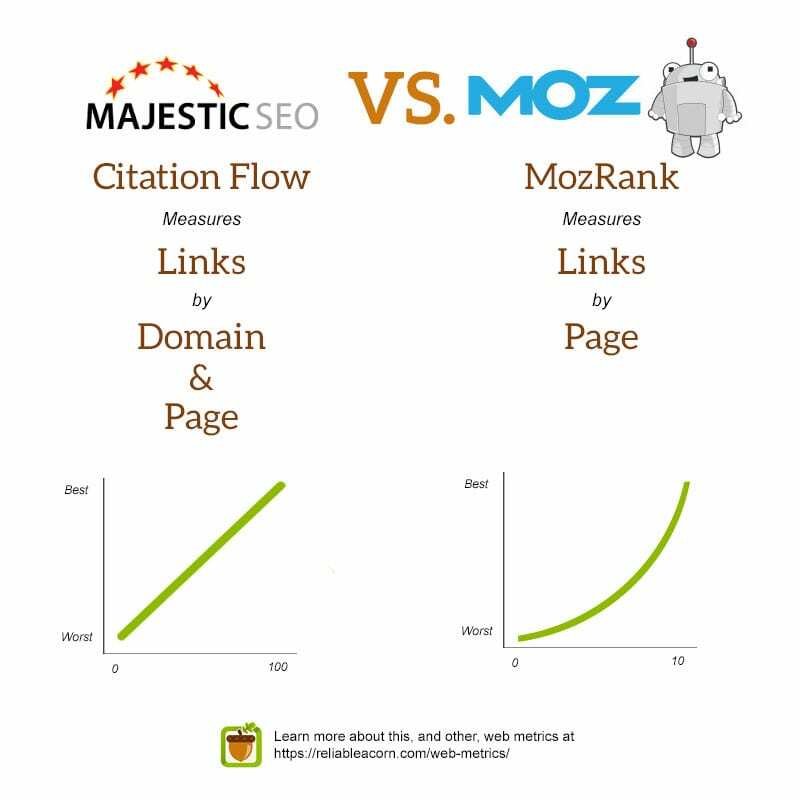 MozRank and Majestic Citation Flow are very similar to each other. The primary difference is that they are from two different algorithms, each proprietary to their company. MozRank is website link popularity score, which is calculated using the number and quality of other pages that link to them. Majestic Citation Flow is a score which predicts how influential a URL might be based on how many sites link to it. MozRank is calculated in an exponential scale between 0 and 10, where Citation Flow is calculated in scale between 0 and 100.